Climatologist Cliff Harris presents a new book on the scientific and spiritual approaches on how the WEATHER has played a MAJOR ROLE in the BIBLE. Published on March 30, 2015, the book and Cliff’s long-range weather forecasts have been featured on various radio and print media. 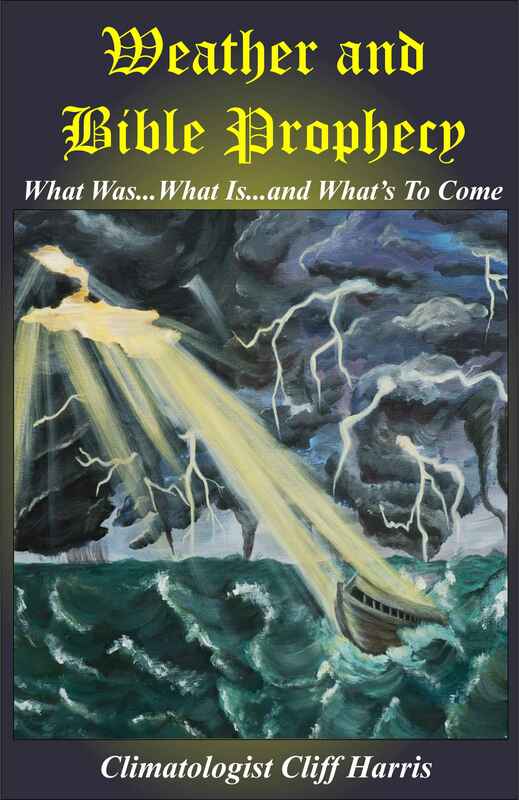 “Weather and Bible Prophecy” takes an abbreviated trip through the BIBLE from the Pre-Adamic era to the New Jerusalem. When are the major climate and cultural cycles colliding? What are the future prophecies based on the Bible? What are the futures prophecies of Israel? How God is using the weather to get our attention. How did the weather influence major events in the Bible? There will be a LIMITED RUN of the first edition complete with colorized illustrations and charts. ONLY $9.95 AND SHIPPING IS FREE!